Why join the Mighty 44th? I’ve been looking through forums and the in-game fleet tool for an active group to learn the game with. 44th seems to fit the bill nicely. 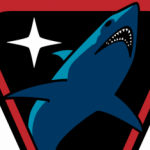 Tell us about yourself: Online gaming nerd with an interest in internet spaceships. I’ve been playing STO for about 2 weeks along side EvE Online which I’ve played since 2011. I’m ative evenings & weekends after work. Full access to the 44th forum has now been unlocked, feel free to look around. 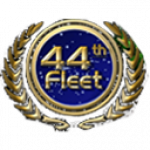 Please bookmark this forum to keep up with Fleet news, and see the recent State of the Fleet to catch up. Greetings Dwane. Welcome to the 44th! Oh, hey, another EVE exile :). Welcome to the 44th, Dwane.